Consider the true cost of a sofa. A sofa priced under $1000 (unless it’s a great sale price) is likely made in the most toxic and least human-friendly way. Spend a little extra for a quality sofa so it won’t end up in the landfill in less than 5 years and affect your family and pets with its off-gassing. There are several Canadian-made sofas, priced from $1300 and up, that emit low or no VOCs, are made of sustainable growth hardwood, and upholstered with fabrics made in North American mills. These sofas and the materials that make them are made where good environmental practices and a decent living wage are the norm and not the exception. Question the manufacturer and the seller. Here’s a chart that will help you work through green considerations for fabrics. 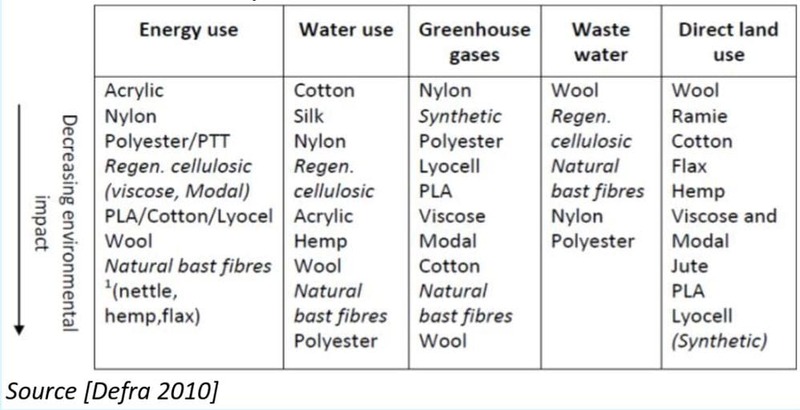 Unfortunately, no fabric is environmentally ideal, but here is a chart published by the Department of Environment, Food and Rural Affairs, UK, that will help lead you to informed choices.